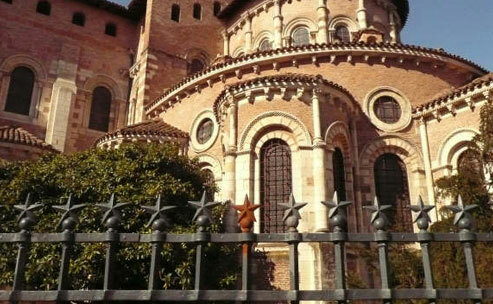 ﻿ Frequently Asked Questions | 4 Week Certificate Program in Toulouse, France. 1. 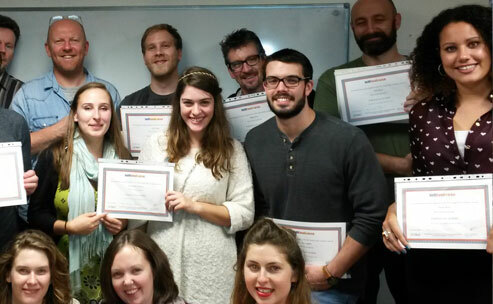 How intensive is the TEFL course? You need to be free of any other commitment for the month you are taking the course since you cannot miss any task. You are essentially learning to be a language teacher and learning the 'rules' of the English language in just 4 weeks. Attendance at the school is from 9am to 7pm Monday to Friday (with breaks and lunch break), and you will need to do some work in the evenings and weekends too. The weekend at the end of the third week is particularly busy. We do not recommend more than about a 45 min drive door to door to reach us, if you live in France already - we can provide local accommodation for the 4 weeks. 2. Will I pass the TEFL course? Almost certainly! Be prepared to work hard and put everything else on hold for 4 weeks. We do make an effort to only accept trainees who we feel can get through. As there is continual assessment, you will be informed early on if your work or professionalism is not reaching the required standard, so you can make adjustments. 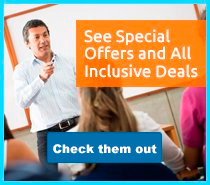 If you struggle with the teaching aspect, there is usually the possibility of arranging further teaching practices post course, but further fees are incurred so try to avoid this. If you struggle with the theory, then we can sometimes allow you a few weeks extra post course for you to revise. 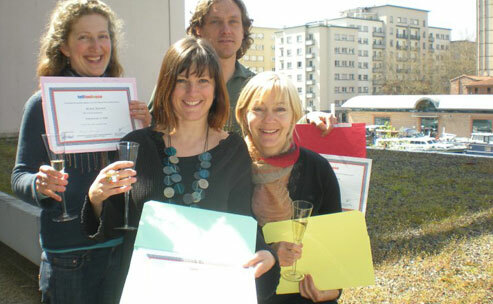 We can then send you your TEFL certificate after you send us assignments or after we give you a telephone test. Again, some extra fees may be involved. 3. 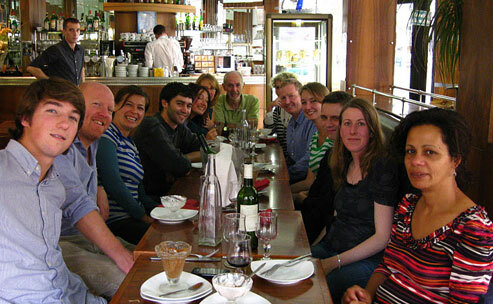 Can Americans, Canadians or Australians do a TEFL course in France? If you are from the US, Canada, Australia or New Zealand then you can always just come and do our course on a standard 3 month tourist visa. 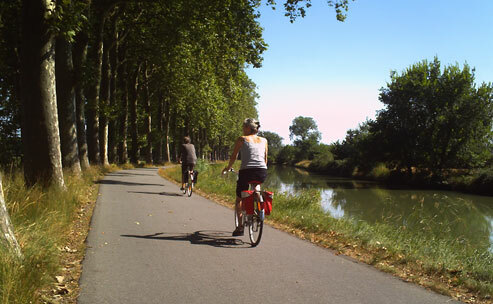 3 months is still plenty of time to do the course and then enjoy France / Europe! If you are based in the US you might even want to compare the cost of a local TEFL course + accommodation at home, with the course + flight + about 400 EUROS for accommodation with us. There may not be that much difference and you will have the time of your life for 3 months! If you are from Canada, Australia or New Zealand, and are 18 to 30 years old, then you should ask your French consulate about the "working holiday agreements" whereby you can have paid employment in France for up to a year without having to worry about special visas. It is all about reciprocal agreements between countries - and these do change. 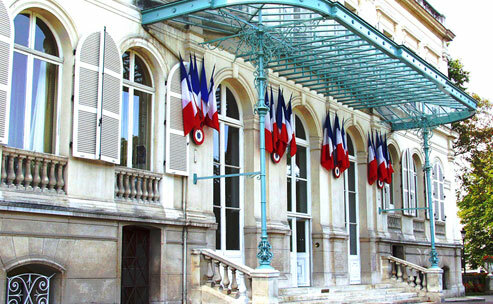 Contact your French consulate / embassy to get the most up to date and relevant information for your case. Of course if you have a European passport, you do not need to do anything - you can live and work anywhere in the EU. 4. What do I need to read before the TEFL course? All course materials are supplied, and books for reference available. We do recommend either Jeremy Harmer's "The Practice of Teaching English as a Foreign Language" or Jim Scrivener's "Learning Teaching" if you want to find out more about language teaching and learning, although the course is largely based on these 2 books anyway. We recommend Raymond Murphy's English Grammar in Use (Intermediate) as a lifelong grammar reference /exercise book. If you cannot get hold of "Murphy" then try Michael Swan's "Practical English Usage". Do try and dip into Bill Bryson's "Mother Tongue", it really gets you interested in our language. 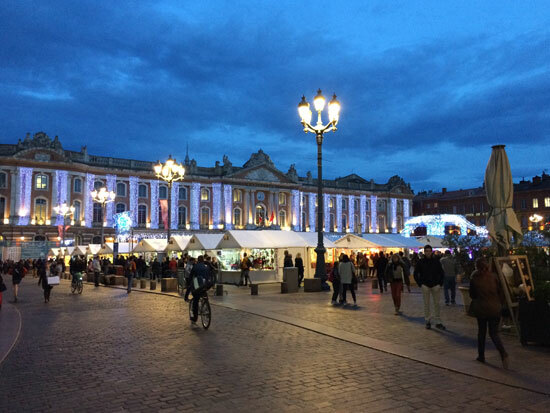 IATQuO moderates the TEFL course in Toulouse because they require similar standards and course content to the CELTA or Trinity moderators. We believe that having experts come to scrutinize us is in your best interest as well as ours. TEFL courses, as with anything you purchase, should be obliged to be what they claim to be, and do what they claim to do. External moderation (resulting in "validation" or "accreditation") visits ensure that certain standards are met and maintained. It is what adds the required weight to your TEFL qualification, and gives you peace of mind when you book a course. Some of the best known external validating bodies for TEFL courses in Europe are Cambridge (CELTA), Trinity; SIT in the USA, and IATQuO. We have opted for validation by the latter that require similar standards. 6. 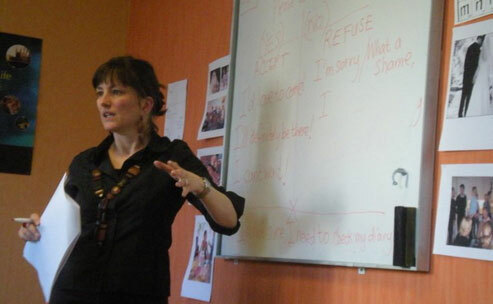 What's the difference between a TEFL course and TESOL program? There is not much difference between the two. In Europe we tend to call the industry TEFL, whereas in the US, TESOL is used to describe what we do. British English uses the word 'course' while American English sometimes uses the word 'program'. 7. Do I need to speak French to do a TEFL course in France? 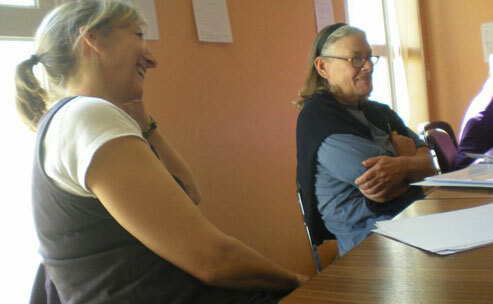 You do not need to speak French to do our TEFL course - our course enables you to teach multilingual groups (e.g., back in your home country) as well as monolingual groups, without resorting to speaking the language(s) of the students. In fact, teachers of English should not resort to speaking French in class in our view, and we will not be letting you do this on the course! 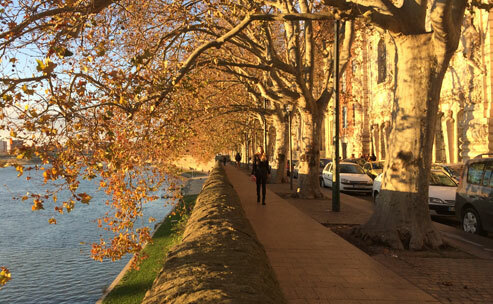 Of course if you plan to live in France on the longer term, you should learn French once you are here to get on with your daily life, and especially if you want to set up your own teaching business. 8. Do I need to be a native speaker of English to do a TEFL course? No, and we welcome applications from nonnative speakers who have an advanced level of written and spoken English. Note for all: nonnative teachers can be excellent at teaching all except the very highest level students, due to their acquired knowledge of English grammar! They can, and often do, keep us native speakers on our toes! Established TEFL techniques can of course be used to teach any language. We have had very positive reports from French trainees who are in Asia teaching English and French, with our TEFL certificate. 9. How do I choose a TEFL course? 1. The exact location of the training center (i.e. not just which city or region, but which part of the city). 3. Does the website feel academic? Friendly? Homely? Honest? Or does it feel like a travel agent site selling backpacking holidays? 4. 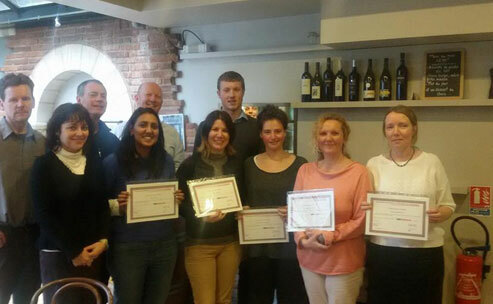 Qualifications and teaching / training experience of the lead trainer and other staff. 5. Number of teaching practice hours and course duration - go for a minimum of 6 hours teaching practice and 120 hours of tutor /trainee contact time, as per British Council requirements. 6- Minimum and maximum number of trainees on the course / in any room at once! 5 to 16 ideally. Careful - some courses take huge groups of trainees and as a result trainees get reduced contact time with staff. 8. How much lesson planning HELP do trainees get from trainers? There should be at least 1.5 hours a day given to lesson planning with the presence of a trainer with one trainer for every 6 trainees. 9. The cost and location of accommodation. 10. The cost of living and travelling to the training center (beware of big cities like London). It is also recommended that you do a TEFL course in the area you would like to teach in, to get to know the culture / city, to be on the spot to start work after the course, and to avoid another air fare just for the interviews. Most language schools in Europe only interview teachers who are already living locally! 11. Reputation of the course - do some googling and read testimonials. 12. Finally, what are the employment opportunities, post course, if you plan to stay in the area? 10. Will I be able to find teaching work straight away after the TEFL course? Tell me more about the job guidance service. What sort of TEFL work will I get? Most of our graduates get a teaching position as little as a week after they finish, and a full teaching timetable by around a month later. We show you how to set up as a freelancer (auto-entrepreneur in French) and you should be prepared to work as one, as language schools want freelancers more and more these days. Schools will usually start you off with around 10 hours a week to see how you get on, then increase once they realize how good you are! Many graduates top up with private teaching. We also have a lot of ex trainees who make a living teaching English in their home. One of the reasons for us opening in France is due to the current high demand for English all over the country. France is changing - fast. 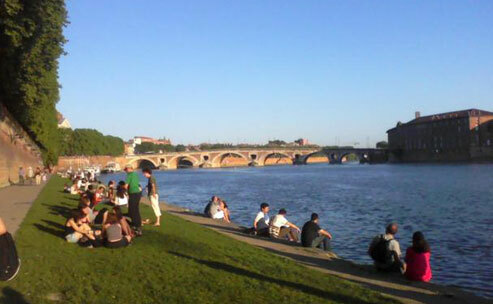 There are over 30 language schools in and around Toulouse. Freelancing can be more lucrative if you have a nose for business - so even in months when there is not much hiring, you can still make ends meet by teaching privately. 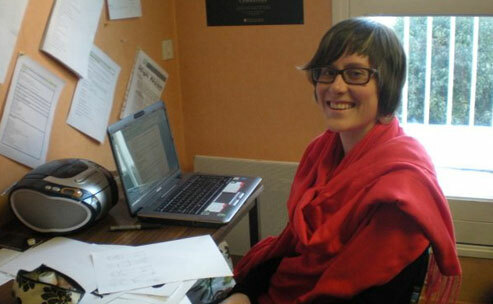 Quite a few of our ex trainees have even gone on to open their own language schools in France! We offer a lifelong job guidance service. 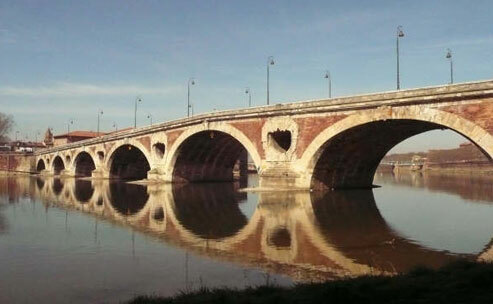 This means that as well as providing in depth help re setting up in France, we can give you support and send references upon empoyer's request for the rest of your life, regardless of the location - we have ex trainees working in Brazil, Spain, Korea.... Just stay in touch and we will help you along the way. 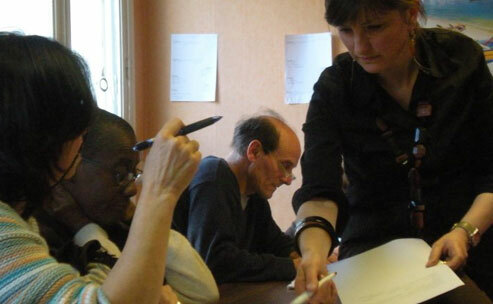 We are sometimes able to offer an optional post - course "integration into France" session, usually on the Monday after the course, where a volunteer local expert shows you in real time how to set up as a freelancer here, open bank accounts, rent a room and so on. The volunteer is not related to the School so we do not charge extra for this. If this is of interest just contact us just before the course to see if this is on offer. 11. Will the school help me find a job teaching EFL wherever I want to go? Yes. We provide a job guidance session, to help you a) get an interview, b) do well during it, and c) show you how to set up as a freelance teacher in France. Your job guidance lasts forever, and job offers are coming in all the time so stay in touch! Do remember that the externally accredited TEFL Certificate that you will be armed with says so much about you - particularly locally - that employers will not need much convincing! If you speak a few words of French, may help too, if you are applying for work here. 12. I'm European. What documents do I need to bring to work in France? None. You can just come with your passport as if you were going on holiday. Any paperwork can be done here after the course. 13. Accommodation for the TEFL course. 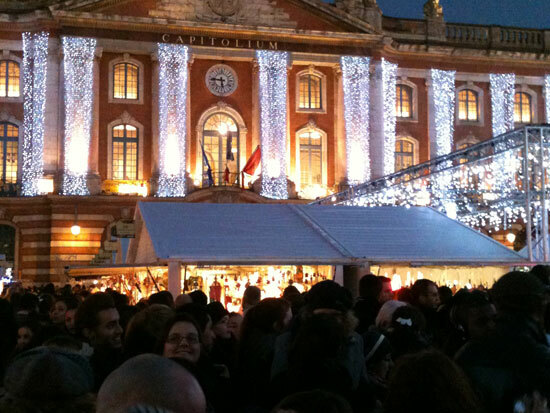 When should I arrive in Toulouse? We have handpicked some great host families, single owners renting a room, studio flats - past trainees have been delighted. Prices are around 350 to 600 EUR for the 4 weeks. You can often pay a bit extra and arrive a few days early or leave a few days later, and this is highly recommended - just pay the host family a bit extra for the extra days. 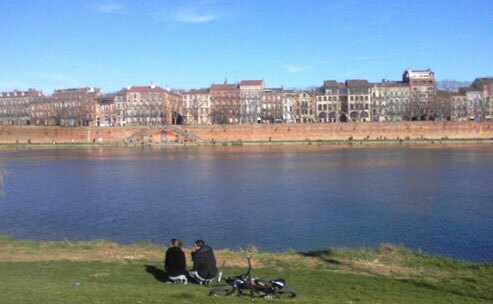 It is highly unlikely you will want to leave Toulouse just as you have finished the course and can start to really discover the city and have fun. 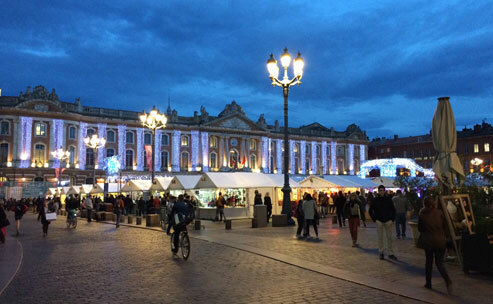 You will be too busy during the course to do much going out during the week, so ex trainees who do not know Toulouse have recommended arriving at least 3 days before the course starts and leaving perhaps 5 days after it ends. See our Accommodation page and get in touch - every situation is different and we are all very flexible! Please finalize accommodation with us well before you arrive, to be on the safe side. Accommodation fees are paid direct to the owner upon arrival. 14. How is TEFL in France surviving the recession? 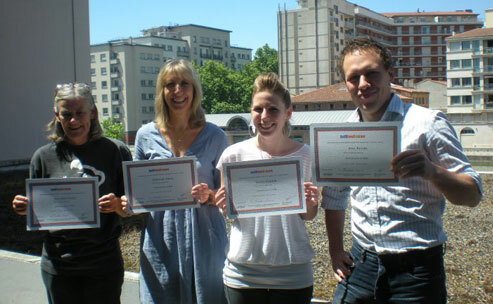 TEFL is booming in France! Moreover, recessions do not affect the EFL market as one might expect. Whilst it is probably true that a company which is particularly suffering will cut costs by putting their staff's English classes on hold, this may end up being counterbalanced by the fact that people who find themselves out of work often wish to gain a new skill and learn English. Perhaps because they feel they may want to try to find work abroad, add a string to their bow for reemployment in their own country, or have just never had time before. The short answer is that more and more people want to be able to speak English, in France. 15. 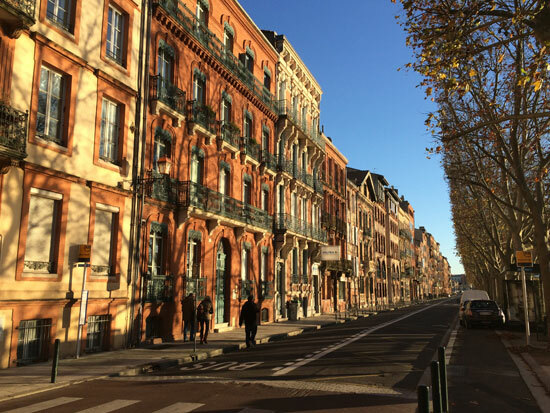 What do I need to bring to TEFL Toulouse? Bring your laptop/computer if you have one - we have Wi-Fi and remote printing and you will want to use it in the evenings. No need to bring many clothes, the shops are great here! 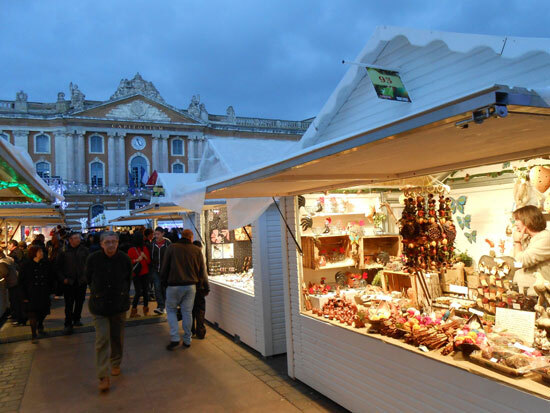 Bring a phrasebook or dictionary if your French is not that great - although everyone in Toulouse seems to want to practice their English! 16. Health insurance for France? 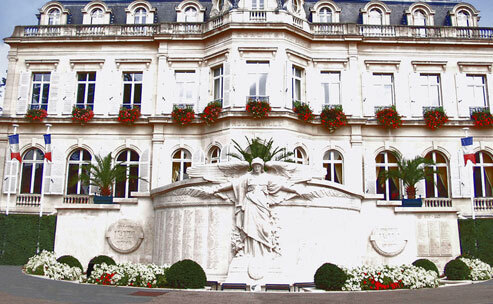 We strongly recommend you organize basic health - and perhaps belongings - insurance, but if you are American for example you will find treatment is much cheaper in France than at home, so you might not want to go overboard if you are on a tight budget. Do be careful with travel plans though - you must not miss any of your TEFL course.